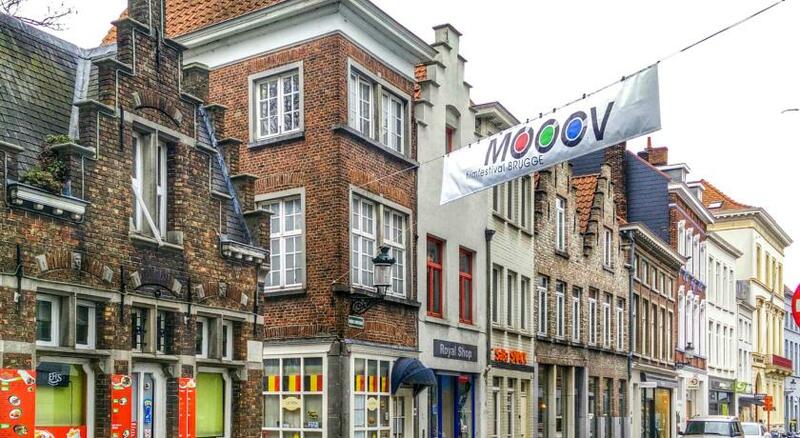 Lock in a great price for Floris Hotel Bruges – rated 8 by recent guests! The service was fabulous! Location is outstanding!The service was fabulous! Location is outstanding! Because of our late flight , we came to our hotel pretty late . The receptionist was so polite for a very late hour, she even showed the places on map for my wife. Breakfast was satisfying. A modern business hotel, one of a chain. Paintwork in my room was in need of refurbishment, though everything seemed clean and comfortable. It was good that there was a choice of hot breakfast as well as the usual cold breakfast . Hotel is in a very beautiful old-fashioned building. The staff is extremely friendly. Bed very comfortable. The best part about this place is their breakfast which was yummilicious with a wide range of offerings. The hotel is about 10-15 mins walk from the city center. They have a small pool if one wants to relax and amazing kids play area. There is a huge underground parking next to the hotel which is a bonus. Swimming pool and little gym. Nice space on the ground floor for resting. Wooden ceiling and floor in the room. Bathtube in a cheap room. Stable wifi. Breakfast was good, continental with scrambled eggs and bacon. Location is easy walking distance to all the tourist attractions. The staff were very friendly and helpful when checking in- they gave us a useful map and a discount card to use in various museums. The carpark was easy to get to and the location for restaurants and bars was great. The breakfast was good and fresh and if the rooms were anything like the downstairs foyer my rating would be much higher. This 3-star hotel featuring a Norman facade and a colonial-style interior is a 10-minute walk from the central Market Square with the Belfry of Bruges. It is a quarter mile from the Concert Hall and a 2-minute walk from 't Zand Square, which includes a wide range of restaurants and bars. Floris Hotel provides an indoor swimming pool, a fitness area and free Wi-Fi throughout the hotel. An LED flat-screen TV, free Wi-Fi and a work desk are standard in the rooms at Floris Hotel Bruges. Each room features modern décor, a private bathroom with a bathtub/shower combination and hardwood floors. To start the day, guests can enjoy a continental-style breakfast with pastries, bacon and warm egg dishes in the breakfast room. Guests can unwind in the hotel's bar, which serves a selection of drinks and local Belgian beers. In the winter, guests can curl up in front of the fireplace. Guests can take a plunge in the indoor heated swimming pool or work out in the fitness area for free. The younger ones can enjoy themselves in the children's corner, which includes a flat-screen TV and an X-Box. The lobby also has an iMac computer with free internet access. Bruges Train Station is just under a mile from the hotel and is easily reachable with public transportation or taxi in 10 to 15 minutes. 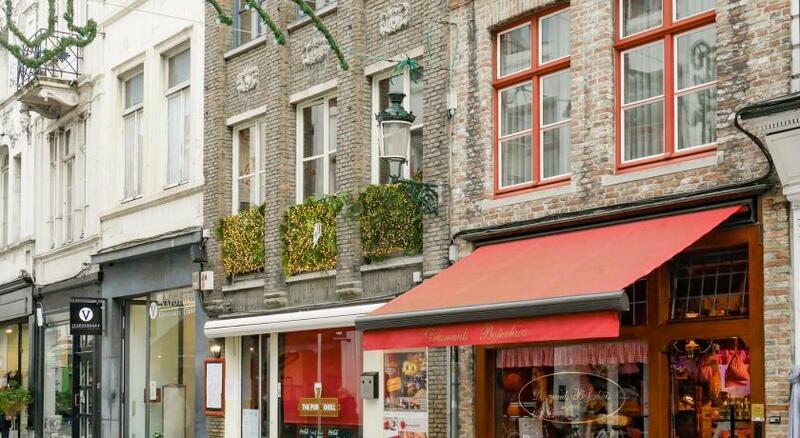 Within easy walking distance of Floris Hotel Bruges, guests can explore a variety of museums and sights, such as the Chocolate Museum, the Groeninge Museum and others. When would you like to stay at Floris Hotel Bruges? This superior room features a writing desk and a private bathroom and toilet. This spacious room features a flat-screen TV, a writing desk and a telephone. It also includes a private bathroom and a toilet. Floris Karos Hotel is happy to welcome you to the beautiful city of Bruges! Having surely already read or heard about some of the wonderful things this city has to offer, now is the ideal time to book your room in the Floris Karos Hotel. Only a short stroll away from the city's historic centre, you will be in pole-position to discover the many wonders and activities Bruges has to offer. Whether you are here for business, getting away with the family or travelling in a big group, our recently renovated hotel is ready to offer you fully equipped rooms at a highly competitive price. On top of that, you will also get to enjoy our indoor swimming pool, fitness area, free WiFi, a kids corner and even babysitting services on demand. See you soon! House Rules Floris Hotel Bruges takes special requests – add in the next step! One child under 12 years is charged EUR 15 per person per night in an extra bed. Floris Hotel Bruges accepts these cards and reserves the right to temporarily hold an amount prior to arrival. Please note that pets are only allowed upon request. Guests can contact the hotel for more information using the contact details found on the booking confirmation. Children over the age of 4 can only be accommodated in the Family Room. Please note that the hotel's private parking is currently unavailable until July 31 2015. The breakfast was OK but not much variety. The swimming pool was cozy. The location was very nice. We loved everything. No negative comment. The staff, clean rooms totally everything. Our room was tiny considering the price we paid. We had the smallest room in the hotel and it was very basic and the furniture was falling apart. My husband and I were there celebrating our wedding anniversary and we felt very disappointed. The location is excellent and only a short walk away from the market square. The reception team were also very polite and welcoming. The room has been renovated a bit but there were some old parts ( e.g. the door of bathroom was broken and tv wasn’t working). There was a mould smell In the room and on our flooor. The breakfast was not nice at all. Location was 10 mins from the centre, staff was really nice and room was big. A bit noisy due to current renovations accross the hall that carried on to 7pm on a Sunday night. But overall a lovely stay. Lovely hotel! Would definitely recommend to others. The big bathroom in room, the pool and the friendly staff. The bedroom lighting could of been better was pretty dull as no main light. Very nice rooms and bathroom was lovely.bed was very comfy.all very clean and couldn't fault it. The only minor detraction and not really the hotels problem is parking. If it's your first time in Brugge( it was my first time) . To tell someone the parking is in the underpass means nothing. also the term TZ means nothing to most people. I don't have an answer. it's just an observation. The location is great , very near to the square. staff are very friendly. Accomodation is basic , but more than adequate.